To invoice third parties, they need to be in the Contacts list first and ticked as “Payers” in their Contact page. Third Party payers must be attached to a Case. 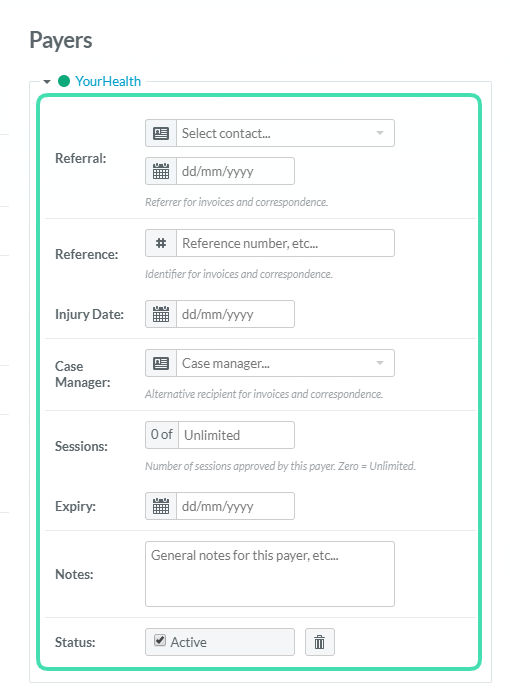 Once added to a Case, invoicing and tracking the number of remaining sessions will be easy so it is strongly recommended to set up the payer before generating any invoices. It is important to select the right Case when booking an appointment to be able to invoice the Third Party correctly. 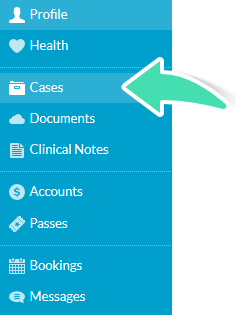 It’s possible to add a third party from the diary page, when booking an appointment (only if creating a new case) or from the Clients section. 2. Under Case Details, click Payer. 3. Select the appropriate Payer in the dropdown menu. 4. Click Save in the right bottom corner of the appointment window. 5. Click Edit Case Details. The Case window will open, the Payer selected will be in the right column with a green dot next to it which means it is active. Referral – Doctor that has written the referral and the Date the referral was written. The Doctor needs to be in your Contacts list to be selected and the date needs to be before the first case associated appointment. Reference – Claim number or authorisation number that is specific to this claim. (Membership Insurance Number should be in the Client Profile, under the Payers details). Case Manager – If applicable, alternative recipient for invoices and correspondence, you can select from a list of all your contacts which have the Case Manager box ticked on their Contact page. Number of Sessions: Number of sessions approved or remaining, this will be shown in the appointment and will be adjusted each time an invoice is generated. Expiry Date: If the treatments are pre-approved within a certain time frame. Status: To prevent invoicing the payer when the claiming is over, you can deactivate the Payer. Case Title, Date of Injury, Reference number, and Referral information (Doctor, Name and Provider Number and Referral Date) will be displayed on invoices addressed to the Third Party. 8. Back to the appointment window, the Third Party is ready to be invoiced. See Invoicing a Third Party for more guidance. 1. In the Diary, click in the appropriate time/day/provider slot and create a booking for an existing or new Client. 2. 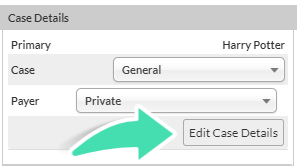 In the Create Appointment window, select Create a New Case. 3. Add the appropriate Case Title. 5. Select the appropriate Payer from the dropdown list or type to add a new one. 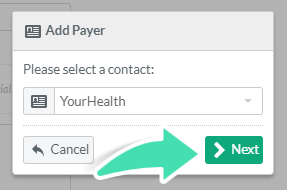 If adding a new Payer, you will be redirected to the Contact page to add all the relevant details. See Adding Contacts for more guidance. The Referrer section under the Payer section is NOT related to the Third Party setup. It is the Referrer used for MARKETING purposes only. You will need to go back to the appointment window to add Payer details. Additional information for the Payer can be added at the time of booking or later, as long as it is before the invoice is generated. 7. Click on the Appointment in the Diary. 8. When the Appointment window opens, the Payer should be displayed under Case Details. Click Edit Case Details. From then, follow step 6 onward from the previous section. 1. Open the Clients section and open the Client Profile. 3. 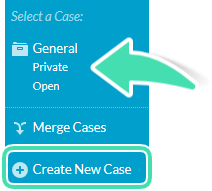 Click on the Case or Create New Case. 5. Select the appropriate Payer from the dropdown list. 7. Follow step 6 onward from the first section. 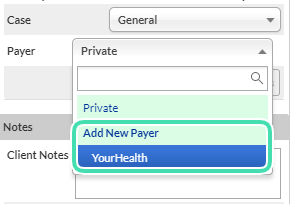 Select the appropriate Payer in the Active Payer section of the dropdown list. Once this is completed, Third Party are ready to be invoiced, see Invoicing a Third Party for more guidance.